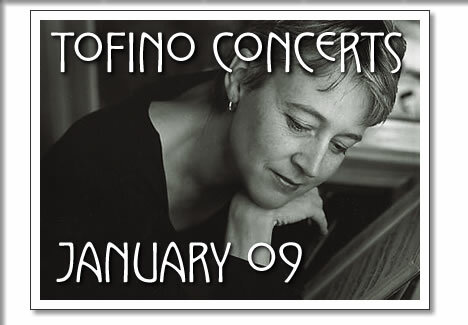 The following concerts in Tofino are happening in the month of January 2009. Tickets are available at Tofitian and Long Beach Surfshop in Tofino. Tofino concerts in January 2009 from Tofino Time Magazine. Shows at the Tofino Legion and other music events in Tofino.